Make yourself at home at Bonington Student Village. 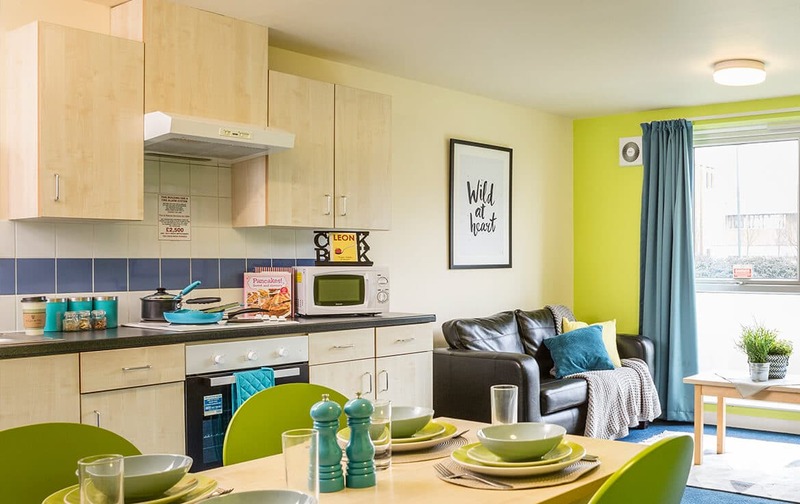 Whether you’re studying at Loughborough University or Loughborough College, our Sutton Bonington location is only ever a short drive away and if you’re heading to the University of Nottingham, you can live right on campus! This village is also ideal for those who want a chilled student lifestyle, with rural pubs, restaurants and gorgeous greenery to explore. When you feel like having a day (or night) out in town, Loughborough and Nottingham are waiting for you. Make sure to take advantage of the free Hopper bus service to the University of Nottingham, Park Campus. Heading to uni in Nottingham or Loughborough? Find out about our Standard Rooms at Bonington Student Village & start your higher-education adventure today! Discover more about our Standard Plus Rooms at Bonington Student Village, perfect for Nottingham & Loughborough students. Start your adventure today! Make yourself at home in our Standard En-Suite Rooms at Bonington Student Village. Find out more today and start planning your next year at uni! Find out about our Standard Plus En-Suite Rooms at Bonington Student Village, ideal for students in Nottingham or Loughborough. Start getting excited today! Live the luxury student life in our Deluxe En-Suite Rooms at Bonington Student Village, complete with double bed & your own sofa. Find out more today! Make the most of student life with self-contained Studio Room at Bonington Student Village. Find out more about our luxury facilities here. What types of accommodation are available in Bonington Student Village? We know that our students have different needs and different budgets to boot – that’s why we’ve ensured a wide variety of rooms are available in Sutton Bonington. From Standard and Standard Plus with double wardrobes, bookshelves and desk to Deluxe En-Suite with double bed and private bathroom, all of our rooms come with a shared kitchen and lounge area where you’ll quickly get to know your new flatmates, whether you’re getting ready for a night out or cooking up a storm. Alternatively, enjoy your own company in a Studio Room, complete with double bed, sofa and a private kitchen area, where you can experiment with new recipes to your heart’s content! Whichever option you choose, you’ll always get the opportunity to make friends with other students, thanks to our thriving Village Life events – perfect for letting off steam. If organising utilities and paying bills sounds like a little too much responsibility for now, don’t worry. We include contents insurance, water, electricity and internet costs in your weekly rent payment, so once that’s covered, you’re good to go. Better yet, as we know you’ll be really busy with uni and endless social activities, we’ve got a FREE parcel service, 24-hour security/support and part-catered options available to make your life as easy as possible. 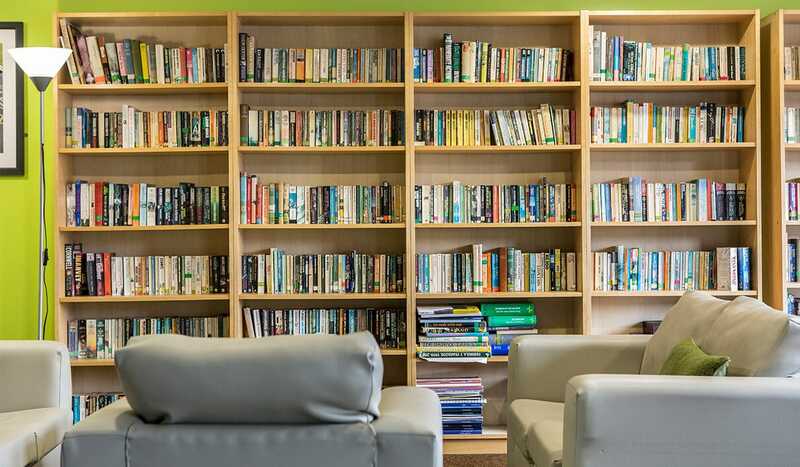 These halls also include a comfy social lounge and BBQ area for the great British summertime, as well as an on-site laundry room where you can hone your domestic skills and a library to knuckle down in. With bike storage and car parking to come home to, what more could you want from your accommodation? Ideal for those who prefer the chilled life, Sutton Bonington has a lovely countryside setting, relaxingly rural pubs and restaurants.